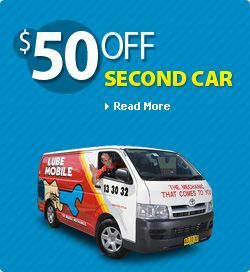 Keep your service history up to date on your Jaguar or Jeep with the 38 Lube Mobile mobile mechanics in Brisbane Metro who arrive on time and with what they need to complete high quality repairs and service work on your vehicle. With over 45 positive reviews already, it’s small wonder Lubemobile have maintained a reputation for excellence by providing industry leading service. Get rid of the hassle of dropping your car off at a workshop and enjoy the flexibility of having your vehicle looked after where you need it to be. Book your on site service today and become another happy customer who have already experienced great services. Stuart did a fantastic job was thorough and professional. Service was insanely fast. I'll be sticking with Lube mobile from now on! thanks so much! Merry Christmas to all. 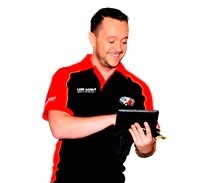 Does your local mechanic in Ferny Grove do house calls? We do. We are Australia’s #1 fleet of completely mobile mechanics who are local to everywhere including in Mitchelton, Carina Heights and Ashgrove. We service and repair your vehicle in whatever location that you specify. So you can have your car serviced wherever you happen to be like the office, your home address, or anywhere else that you are. Our mechanics have serviced over 2,213 vehicles for owners at their chosen specified time throughout the last year. Our mechanics have commonly worked on Log book servicing in your local area and will arrive fully equipped to carry out a range of mechanical service work and repairs like removing and fitting water pumps and replacing a noisey exhaust. Our fleet even includes specialist tyre mechanics available for on site tyre replacement. Servicing and repairing all makes and models, we arrive where you want us with what we need to get the job done. Toyota, Holden and Ford are all attended to on site at the best time that suits the vehicle owner, not the mechanic. Cutting out the workshop saves you valuable time and money in travelling and arranging alternative transport for a schedule that fits with your mechanic. In your local area our mechanics have already completed on the spot services and repairs for Honda, Lexus and Hyundai. As a mobile mechanic, your specialist has what they need to complete your vehicle’s repairs and service on time. Using only quality parts like ignition fuse, cam angle sensor and water pump your repairs are completed on site without the need for follow-ups or trips into the workshop at all.